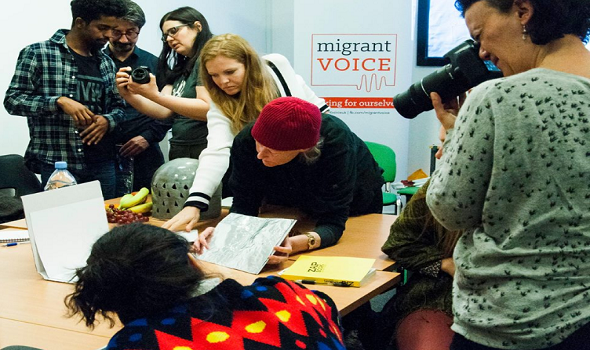 On June 7th, Migrant Voice presented a selection of photographs by 28 Glasgow-based participants from 25 countries, charting the newcomers' and host communities' experiences of settling into Glasgow life. This exhibition was the culmination of our ‘Changing Lenses, Glasgow stories of integration’ project which brought communities together to explore integration and created shared messages to build stronger communities. The 28 participants shared their diverse experiences as refugees, asylum seekers, workers, international students and host community members, working together to contribute a huge range of skills and talents that culminated in this exhibition of many different perspectives, views and voices.